This factory Glock 26, 10 round magazine is the highest quality magazine available for Glock firearms. 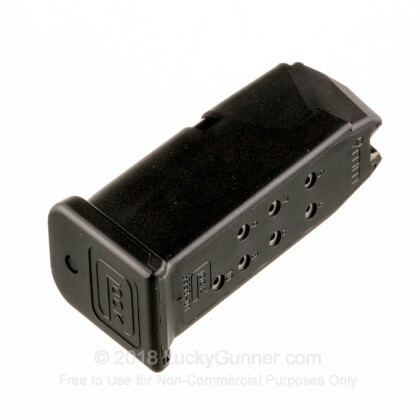 The Glock magazine is drop-free, and constructed with a steel frame encased in patented Glock polymer. The combination of a steel frame and polymer case, makes the factory Glock magazines durable enough to resist deformation from even the most brutal treatment and climates. 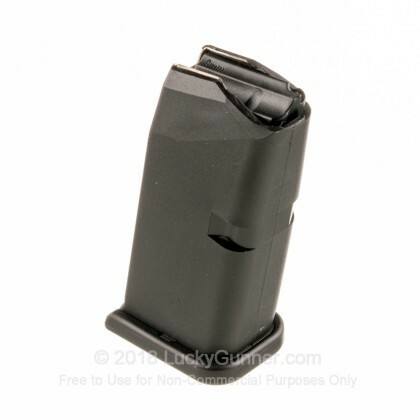 This is a factory new Generation 4 Glock magazine, and it will work with either a Right or Left hand magazine release. Generation 4 Glock magazines will work with all generations of Glock 26 firearms. They give you what they say they will you get what you ask for. An honest and trustworthy source you can depend on. And they have the stuff you want and need. great price and quick service. This is the place to buy them for sure. Shows in stock or not and is true! Awesome! Never fooled! Thanks! Outstanding Glock product, as usual!! Thanks for the fast shipment! works like it should, kein problem! 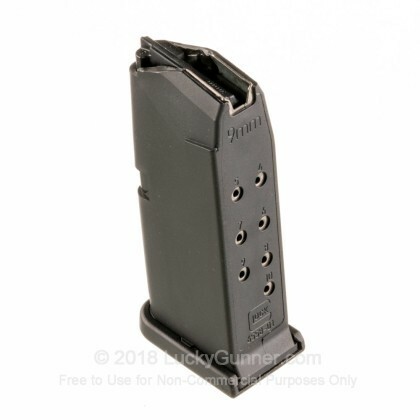 Q: Are these official Glock 26 Gen 4 Mags factory/original magazines or are they an off brand made to fit Glock 26's Gen 4? A: All of the Glock Magazines that are factory/original made or labeled as "factory made", any off brand ones are label as the manufacturer who made them. The one you are asking about is manufactured by Glock. A: Hello Willy, The Gen 4 magazines will have no issues working in earlier model Glocks (Gen 2, Gen 3). Due to the Gen 4 magazines having the mag release cutouts on either side, it will always work with the left side only mag releases on the earlier Gen Glocks.